If you are not familiar with Līgo fest - summer solstice celebration, then you probably don’t even know that there are some indispensable attributes, which are impossible to replace on Līgo. It is impossible to imagine Līgo holiday without specific products. Among those attributes are traditional treats - beer and special cheese. 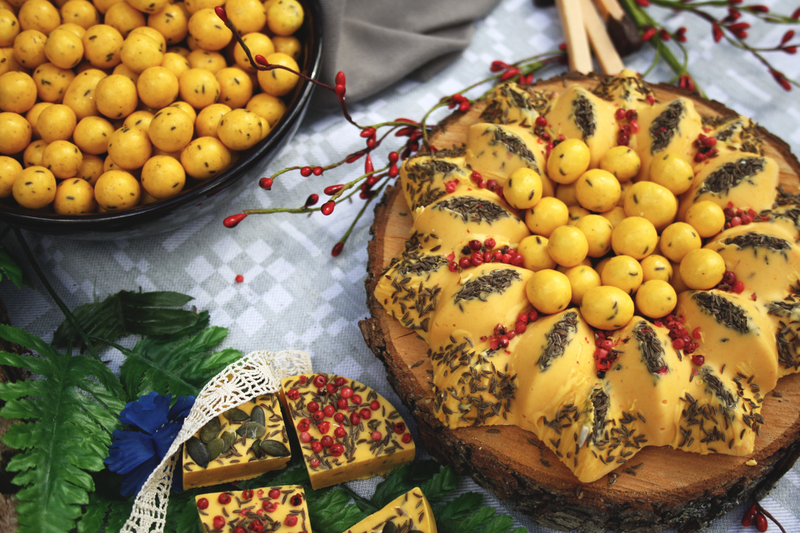 Sun is symbolized with a round golden head of cheese, that is specially prepared for that day and is sold in every grocery store in Latvia. Līgo Jāņu cheese has specific taste and the main distinguishing feature are added cumin seeds. By a popular belief, cumin found in cheese slice should be well chewed - then all vital misfortunes will be gone. 5 years ago, being inspired by national Jāņu cheese and bearing in mind that there are basically no traditional sweet product for that holiday, our chocolate master (Mari) created a truly unique masterpiece - chocolate cheese head with French cheese flavour and cumin seeds. Such an unexpected combination, sweet chocolate flavor, yet strong cheese aroma. Surprisingly tasty, National Chocolate Cheese collection can be considered as Latvian distinguishing meal, being eaten throughout the year. Now, 5 years later, we have a full product line with a Līgo cheese taste, which we have developed over these years. Now, seeing that other companies are copying our invention, you guys can consider it as indicator being worth to try out. But, be sure to try out authentic Līgo chocolate cheese collection from Al Mari Anni. You won’t find any other country in the world, that is celebrating summer solstice, like we do it in Latvia. 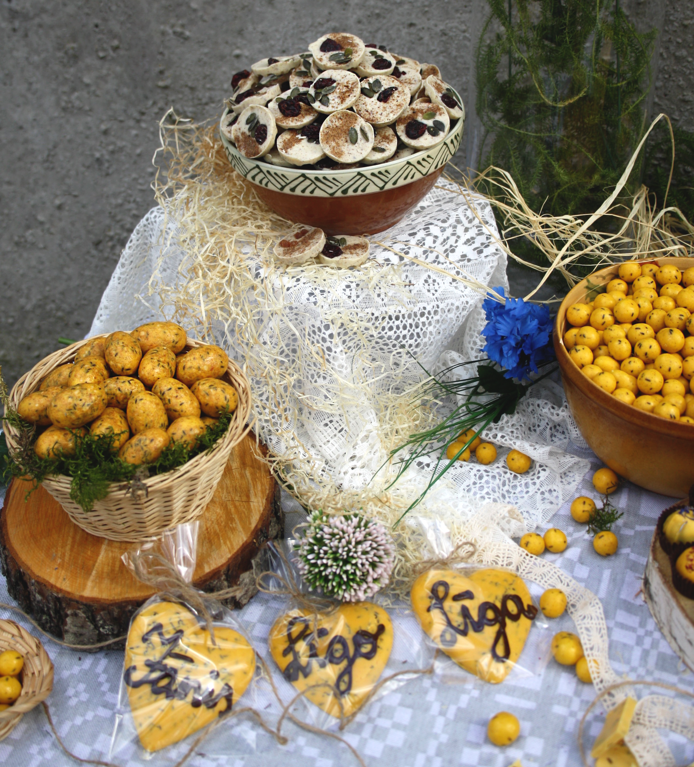 One of the most beloved holidays, Līgo can only be compared with the New Year. Līgo takes its origins from the days when European farmers actively pursued the cult of the sun. The energy of the sun, which is highly intensive in the summer solstice period contributes to the growth of all living things, that is why in many of primordial cultures those days were celebrated. It is also one of the most ancient European nation’s traditions, which marks the time cyclicality and serves as a calendar’s point of reference. It was the most important annual festival by its significance. It is necessary to keep bonfire throughout the night to produce light transition from one solar year to another. Dear reader, we are starting this blog with a task of telling story. Story about our chocolate, about people behind the scene, about inspiration we get, and about million things that we think are worth to speak about.